Today, we published our 2016 annual report, which gives an overview of the work our office did last calendar year. We regulated nearly 2,400 companies and 164,000 licensees. 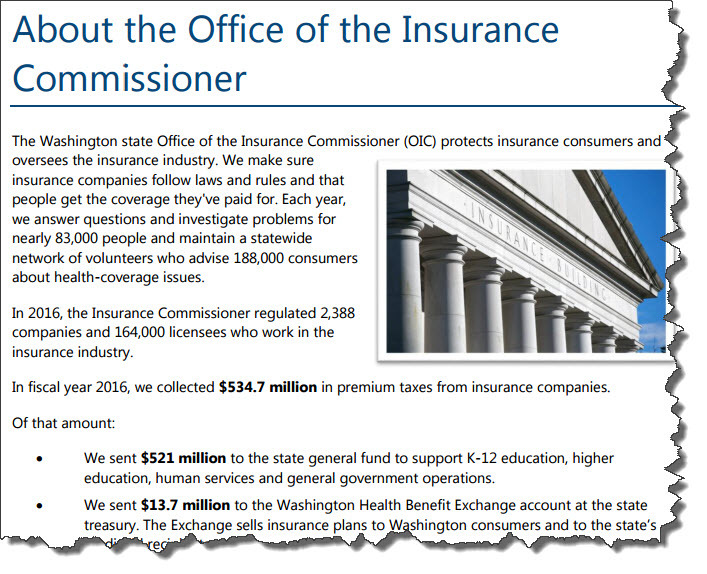 We collected $534.7 million in premium taxes from insurance companies. Of that amount, $521 million went to the state general fund to support K-12 education, higher education, human services and general government operations. 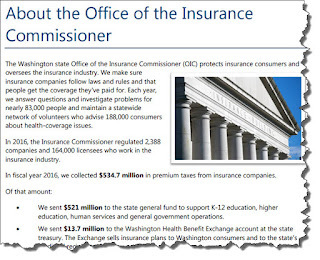 We fielded nearly 8,000 consumer complaints and helped recover $11.3 million related to billings and claims. Answered more than 67,000 calls to our consumer hotline. Helped more than 83,000 people with one-on-one health insurance counseling through our SHIBA program.